SharePoint Conference North America wrapped up in Las Vegas on May 23rd heralding the return of a major SharePoint/Office 365/OneDrive-focused event to the continent. Colligo was there to speak, exhibit, announce new product features, and network with the top experts in the community. Today we’re sharing some of the big conference announcements as well as insight from our booth survey on Office 365 adoption for RIM purposes. With a large representation from Microsoft in the speakers’ lineup, including VP of Office, OneDrive & SharePoint Jeff Teper providing a roadmap update, there were a lot of product announcements and updates. SharePoint Spaces brought some genuine “Wow!” factor to content stores; this new feature allows the creation of immersive mixed-reality environments to interact with corporate content. It leverages hololens technology, although the environments will also be accessible through a standard web interface on any device. Office 365 web application interfaces are getting a big lift, with Microsoft leveling the features to bring more features from the desktop clients into the web interfaces. Pivot tables, shapes, and data validation are now in Excel online. Track changes are available in Word, as well as co-authoring with real-time visible updates from co-authors. This improvement means that all 3rd party add-ins can be more easily accessed. Email Manager for Office 365 now supports labels. Microsoft recently launched a new feature for Office 365 called labels, and the word is starting to get out—more on that below. For the uninitiated, labels are metatags—tied to disposition, classification, and retention of content—which span multiple Office 365 workloads. Colligo announced that we’ve added support for labels (link) meaning that emails captured in Office 365 can now be tagged with the label as well as other metadata. 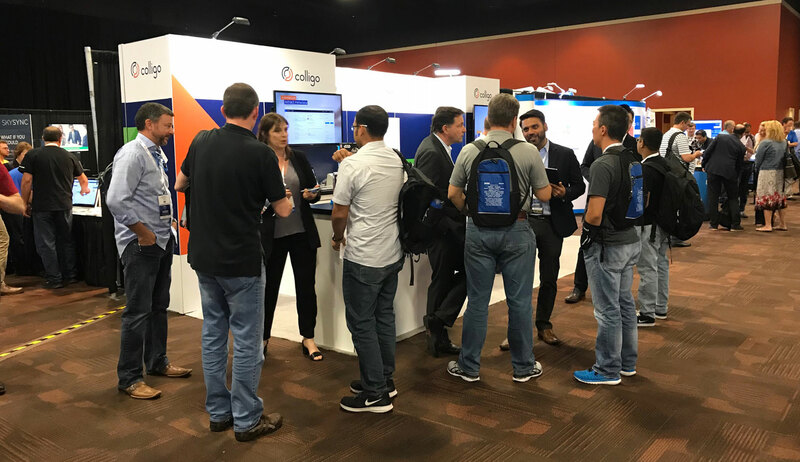 When attendees weren’t in their sessions (or catching the B-52’s play the conference party on Tuesday), traffic in the exhibit hall was busy, and we took the opportunity to survey our booth visitors on how they use Office 365, and what they had heard about labels. Heads are in the clouds. 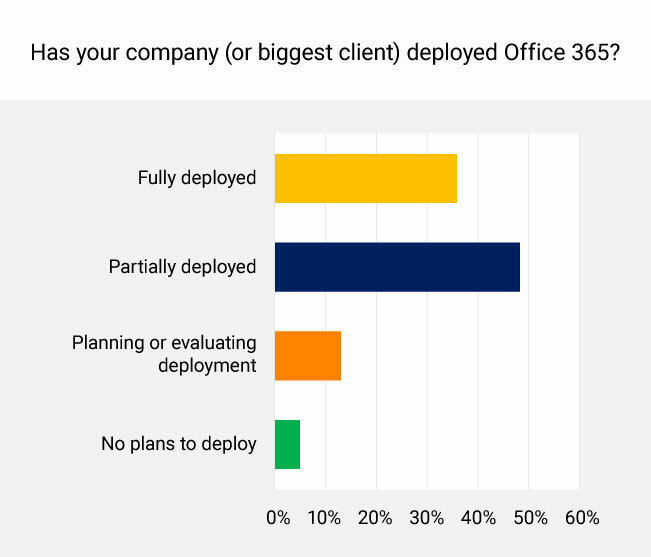 Amongst the people we surveyed, uptake of Microsoft Office 365 was very high, with 82% reporting they have fully or partially deployed the service. Some people—particularly in select regulated industries—told us they were using SharePoint on-premise, but the overall shift to the cloud was clearly evident. 82% reporting have fully or partially deployed the service. SharePoint/O365 adoption for RIM processes was common. 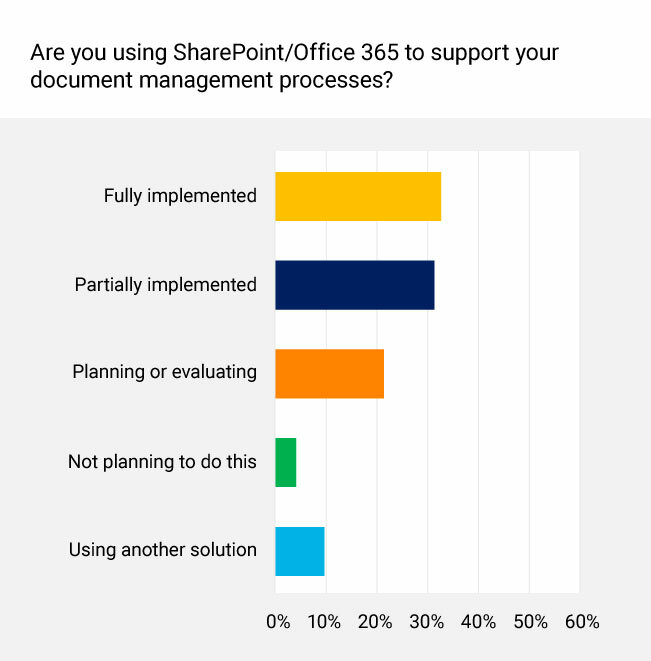 Two-thirds of respondents report using SharePoint/Office 365 to support some or all of their document management processes. A further 22% are planning or evaluating this option. While records management processes are less fully adopted than those for knowledge management, a full 70% of respondents are evaluating or already using SharePoint/Office 365 for records management. 70% of respondents are evaluating or already using SharePoint/Office 365 for records management. 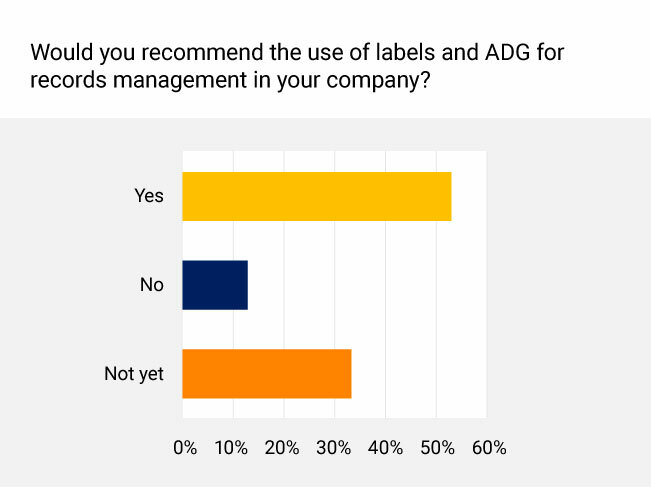 Respondents showed enthusiasm for adopting labels and advanced data governance features; over half said they would make this recommendation today while a further 33% wanted more information. A little under half of the respondents were familiar with labels before the conference. 41% were not aware of labels, while a small number had heard the name without further details. Over half of respondents would adopt labels and advanced data governance features. Colligo makes record and knowledge capture and sharing secure and easy for your workers. Would you like to learn more about how easy it is to get up and running? Our sales and technical teams in North America and the UK would be pleased to answer your questions or to arrange a personalized demo. Contact us today to start the discussion.